Lauren Hudac - Go Media™ · Creativity at work! 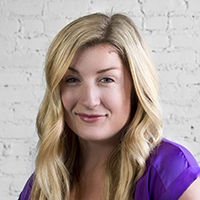 Lauren joined the Go Media team in January of 2013 after a career in the eco-lifestyle, magazine industry. As Account Manager, Lauren works with clients to identify a design or web solution that meets both their needs and budget. She’s passionate about building and maintaining client relationships and works hard to ensure they are satisfied from the first conversation through project completion. Lauren holds a B.S. in Marketing from Clemson University in South Carolina.